Sips & The City: The 2016 Seattle Wine & Food Experience is Another Hit! 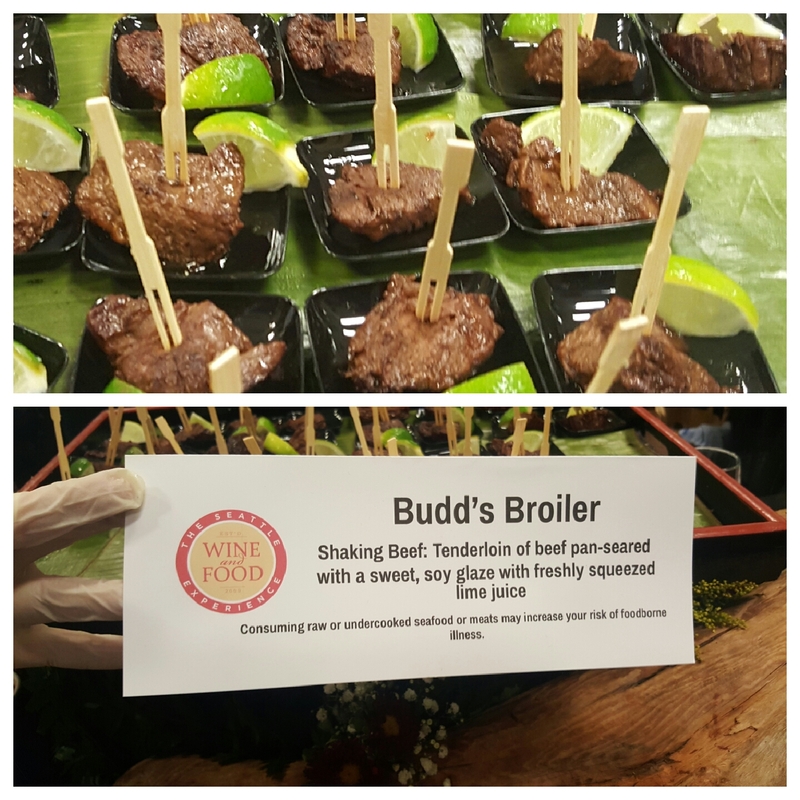 The 2016 Seattle Wine & Food Experience is Another Hit! 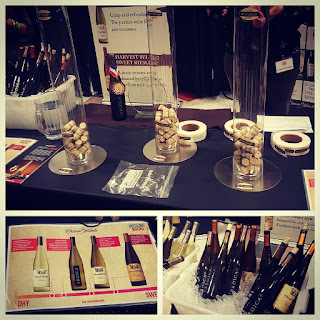 If you missed this year’s Seattle Wine & Food Experience (SWFE), you missed out big! This year’s event was a hit, and guests left with extremely full bellies and a list of new wine, beer, cider and spirits favorites. I personally LOVED the food options at this year’s event. The restaurants certainly brought their A-game and the food offerings were simply delightful. I also discovered a new cidery and had the chance to try several offerings of my favorite type of beverage: sparkling wine/champagne! In case you missed my Instagram feed at the event (find me on Instagram: sipsandthecity), here are my favorites and finds from this year’s Seattle Wine & Food Experience. Well, let’s start here since I am still salivating over some of the thing I had at the event. My favorites this year were of land and sea! 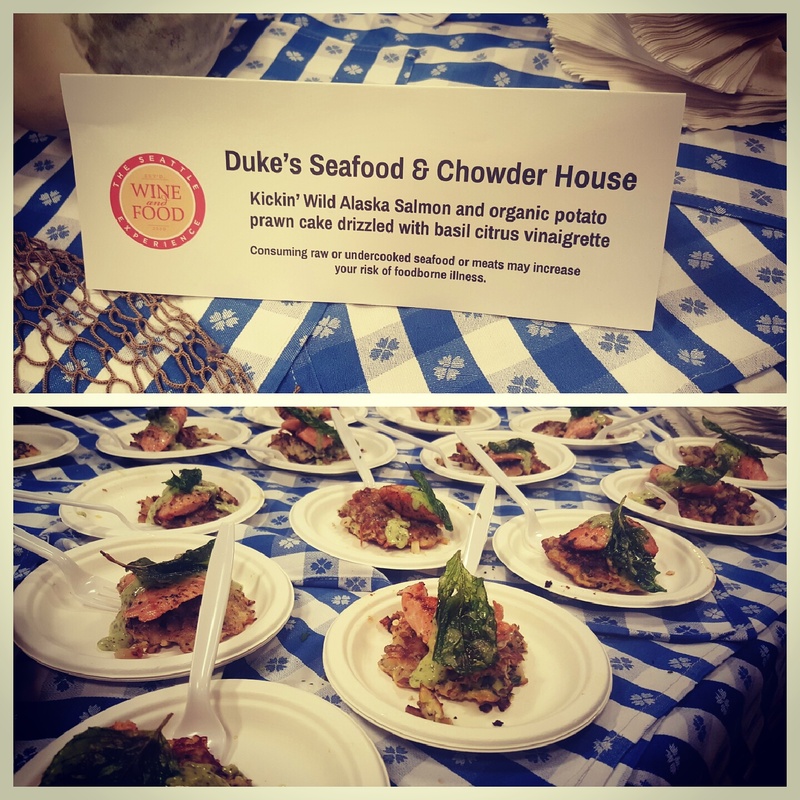 My #1 was definitely the dish from Duke’s Seafood & Chowder House (Twitter: @dukeschowder). They served up “Kickin’ wild Alaska salmon and organic potato prawn cakes drizzled with basil citrus vinaigrette”. The salmon was cooked perfectly and the flavors of the potato prawn cakes and vinaigrette came together beautifully. I sent many a person to the Duke’s table throughout the event when they asked what was my favorite so far! My other favorite was from Budd’s Broiler, which is a new Anthony’s Restaurants steakhouse located adjacent to their Columbia Point restaurant on the Columbia River in Richland, WA. Their offering of “Shaking Beef: tenderloin of beef pan-seared with a sweet, soy glaze and finished with a freshly squeezed lime juice” was AMAZING. I’m not going to lie, I may have enjoyed this dish more than once… ssshh.. don’t tell! You added the lime juice yourself after you picked up your plate, which made that flavor fresh and forward, which paired amazing with the beef. I will most definitely be tracking down this restaurant during a visit east of the mountains! I discovered a brand new cidery at this year’s SWFE! 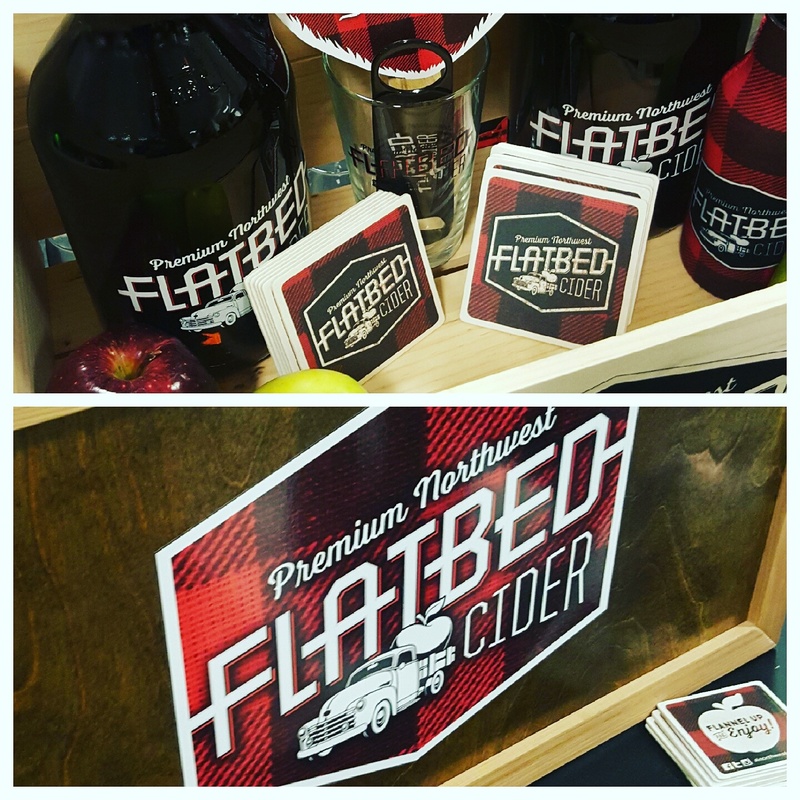 Flatbed Cider (Twitter: @FlatbedCider) (Instagram: Flatbedcider) just started putting out their juice in January of this year from Milton-Freewater, OR (right across the state line from Walla Walla) and is working their way into stores in the Seattle market. Their Crisp Apple Cider was everything a cider should be without too many extra flavors taking away from what’s most important: the apples! I’m going to track this down at a local store soon. I was told they are currently found in Whole Foods and Bartells in Seattle! One of the SWFE “experiences” we were able to try during our media preview of the event before it started was the Chateau Ste. Michelle (Twitter: @SteMichelle) (Instagram: ChateauSteMichelle) “Riesling Challenge”. During this, we tasted through four separate Rieslings, from dry, to off-dry, to sweet. After tasting all four, you casted your vote for your favorite and received a sticker saying you were “Dry” “Off-dry” or “Sweet”! The Rieslings (in order) were the 2014 Dry Riesling, the 2014 Eroica Riesling, the 2014 Riesling, and the 2014 Harvest Select Sweet Riesling. Usually I am more of an off-dry person, but today I was feeling the sweet, and my vote was for the Harvest Select Sweet Riesling! A friend that attended the event with me said she “didn’t like Riesling” (a common thing you hear from many people), but after taking the Riesling Challenge she was swayed and convinced she just hadn’t been trying the right ones. She found a favorite and realized not all Rieslings are created equal! Sparkling wine, prosecco, Champagne. AKA my favorite beverages and the foundation for my hashtag #bubblesmakeeverythingbetter, because you know what? They do! 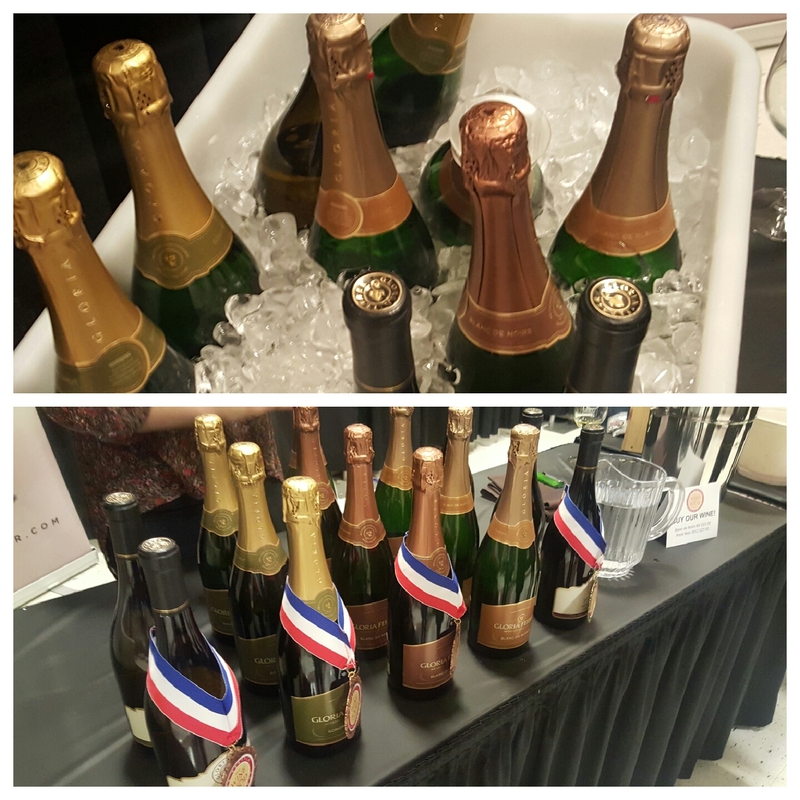 This year’s SWFE featured many sparkling wines, partly due to the fact that many of them poured at the POP! Bubbles and Seafood event that was held the night prior. I was in bubbly heaven at SWFE and was able to try several new ones and a few old favorites. I came upon Gloria Ferrer Caves & Vineyards (Twitter: @GloriaFerrer) in the California wines area, and was pleasantly surprised by the sparkling wines. The Sonoma Brut, Blanc de Noirs, and the Blanc de Blancs were all quite lovely, and all have very decent price points for sparkling. Looking forward to trying more again soon! Piper-Heidsieck is a Champagne house from the Champagne region of France that has been in existence since 1785. 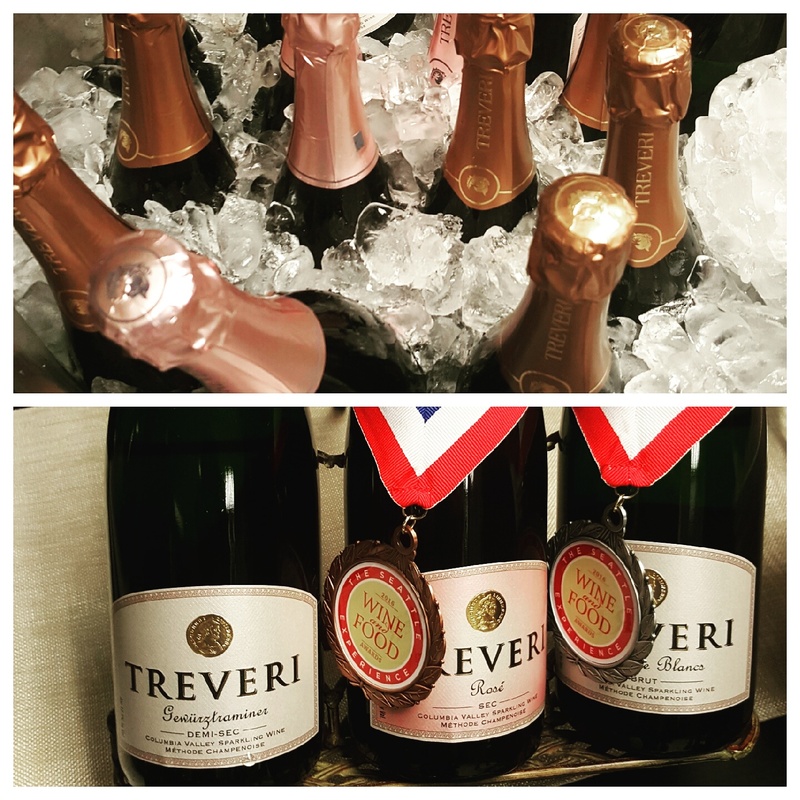 The Brut was being poured at SWFE by its Importer, Terlato Wines, with whom the Champagne house has created long-term partnership with to bring the wines abroad. This wine won Best of Show for the 2016 Seattle Wine & Food Experience Wine Awards, and I can see why! 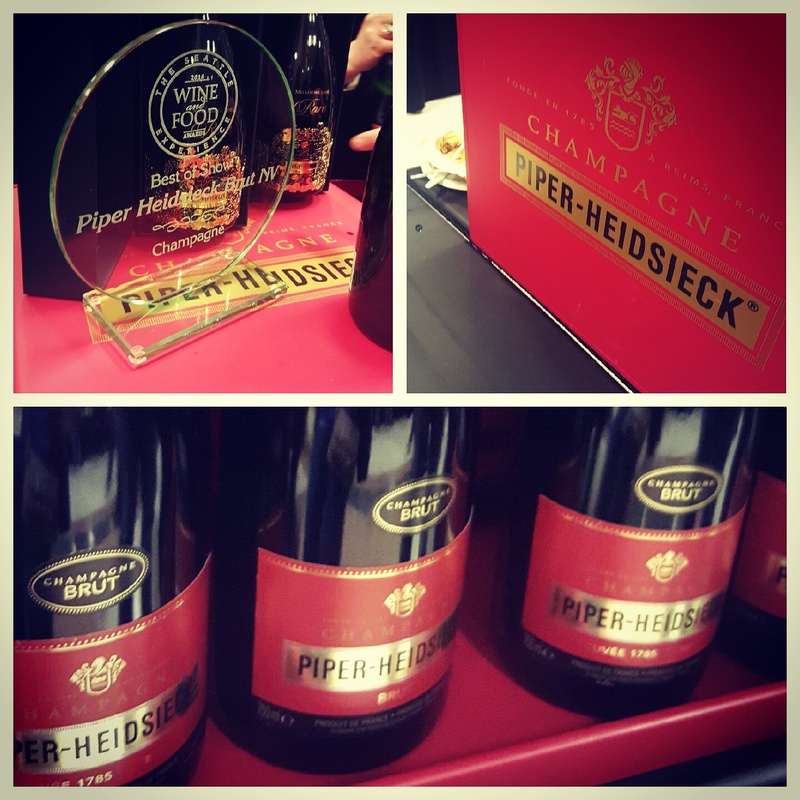 The wine is blend of all three main grapes in the Champagne region: Pinot Noir, Pinot Meunier and Chardonnay. It’s also a great price point for a true Champagne, and I definitely picked up a bottle at the bottle shop at SWFE! I loved the offerings at SWFE this year and I always recommend this event to friends due to the many offerings available. It’s just a wine event, it’s truly a wine AND food event, and it continues to grow and get better year after year. Don’t miss out on future years of this event, it only gets better with age! Thank-you Sips and the City!